One man’s meat is another man’s poison is an old saying that could not be truer than from a nutritionist’s point of view. Most people can make wheat products their staple diet. But some rare individuals end up with vomiting or diarrhoea when they consume wheat. Such adverse reactions are produced either by the immune system (causing an allergy) or by the gastrointestinal system (leading to intolerance). 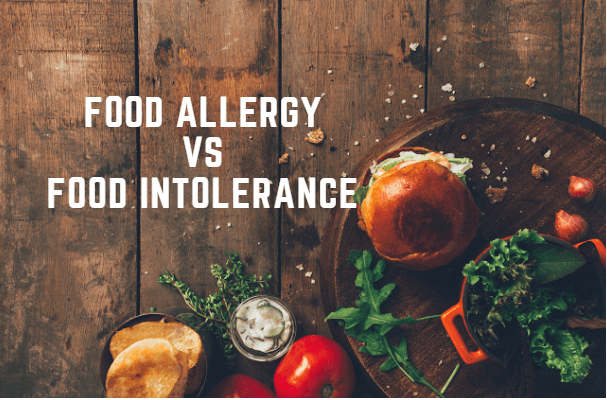 Food Allergy describes the adverse effects brought about by immunological reactions in people sensitive to certain food components (allergens) which are usually proteins. This is also known as Food Sensitivity and is not to be confused with food intolerance where the mechanism is non-immunological. Everybody absorbs some large molecules like proteins, whole. The body’s immune system removes these foreign substances (antigens) by producing antibodies that form antigen/antibody complexes. These are metabolised by the liver and in most people cause no reactions. In some, however, they cause allergic reactions either immediate or delayed, through the allergen-antibody complex, leading to a release of histamine from mast cells. (An allergen is an antigen that causes allergic reactions). Symptoms may be gastrointestinal – vomiting or diarrhoea. For example, this could be a reaction to the gluten in wheat. Symptoms could also be general – eczema, edema, urticaria, and asthma. For example, this could be caused by a reaction to eggs, strawberries, shellfish. This could also cause rheumatoid arthritis. Classical antigens include egg, fish, shellfish, wheat, nuts, and cow’s milk (one per cent of infants could be allergic to this). This phrase describes the adverse reactions to food constituents, which are toxic only to certain individuals. Also known as Food Idiosyncracy or Pseudo-Allergy and it is not to be confused with food allergy since the mechanism of the reaction in non-immunological. Most cases of food intolerance are probably due to genetically determined enzyme deficiencies, such as favism or lactose malabsorption. Sometimes symptoms may suggest food allergy because they are mediated by histamine. This could be released from the food itself (fish, tomato, egg white, strawberries, chocolate) in susceptible individuals. Some foods (cheese, herring, salami, spinach, anchovy, tomato) release the histamine from mast cells. Some foods (chocolate, cheese, fish, beans) may be rich in thiamine which releases histamine from mast cells. Thiamine also causes the release of pressor amines, which leads to hypertension. Some individuals are sensitive to caffeine and monosodium glutamate apparently because the enzymes responsible for their metabolism are less efficient or deficient. Some people are sensitive to salicylates (aspirin-like substances) occurring naturally in foods such as dried and berry fruits, oranges, grapes, almonds, peppermint, honey, many herbs, tea, wine and port. A Feingold diet is one that excludes artificial colourings and flavourings and natural salicylates from the diet of hyperactive children, on the basis that these substances could create adverse behavioural patterns in certain people. A small percentage of children respond, but often a Feingold diet could be nothing more than a placebo. Also read: Heard of the Flexitarian diet? Bacterial – food that may not appear to be spoilt could be contaminated. This is the most common cause of food poisoning. The mechanism could be toxic (such as Staphylococci, Clostridium, and Botulinum); infective (such as salmonellae), or intestinal (Clostridium welchii). Mycotoxins – produced by fungi. Food appears mouldy or spoiled, for example, aflatoxin B1 from Aspergillus flavus. Inherent– caused by substances naturally present in food, and affects people who eat these foods in large quantities. Examples are bananas, cheese, almonds, fish, meat, legumes, Brassica seeds and, green potatoes. ← What Is A Glucometer & How Do You Use It?